There's lots to see and do in and around Barmouth. Whether you are on foot, bike, motorbike or car, there's something for you. 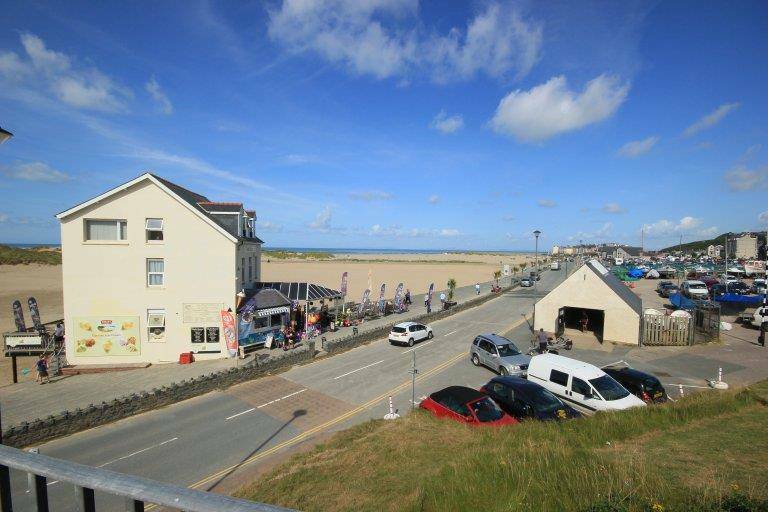 In Barmouth itself there are many places to dine, shop for souveniers, amusements, leisure centre, sightseeing and not forgetting the award winning blue flag beaches. You can visit the museum above Davey Jones Locker, see the drunkards lock-up (Ty Crwn), look around the lifeboat, visit the library or the tourist information centre. Those of you with children will simply love crabbing off the quayside or the point. In addition to all this you can catch the ferry boat across the estuary and catch the steam train to Fairbourne Station. From there you can either make the return journey or catch the main train at the main station nearby. For the more adventurous you can make the walk back over the wooden railway bridge with breathtaking views up the estuary. Hikers will simply love the panoramic walk or take the walk across the railway bridge and turn left to walk along to Penmaenpool on what was the old railway junction line to Dolgellau. This was featured in 'Railway Walks' with Julia Bradbury on TV recently. 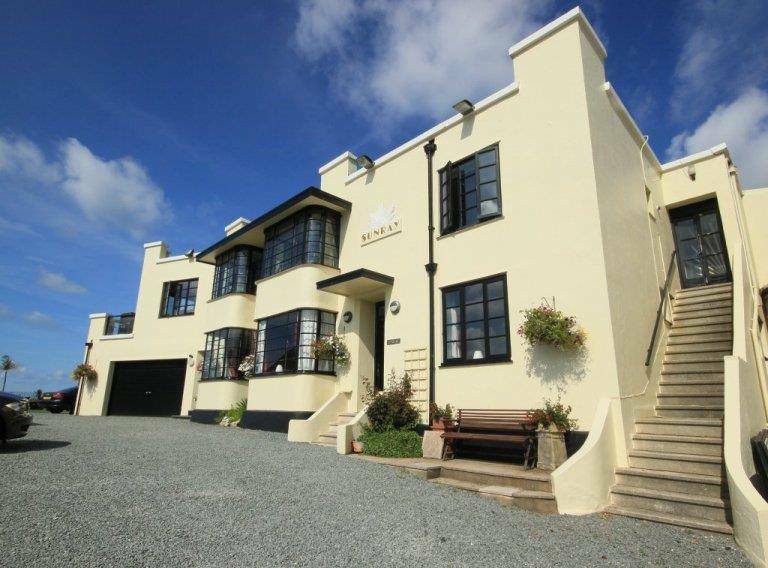 Sunray Guest house is an attractive Art-Deco house with excellent views of the harbour and estuary prominently situated right on the side of the quay and within two minutes of Barmouths' award winning Blue Flag beaches. 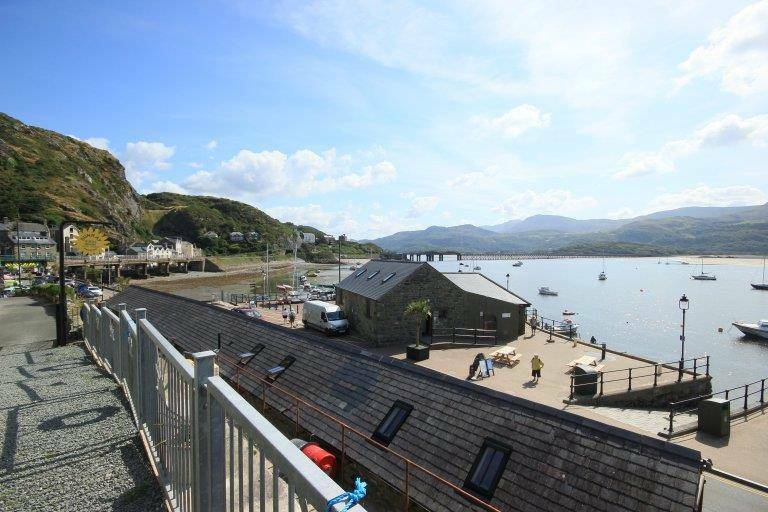 This location is central for touring the Snowdonia National Park and is ideal for those requiring a base from which to travel to Aberdovey, Dollgellau, Harlech and Nefyn golf courses. Ideal for enthusiasts of watersports, canoeing, windsurfing etc. 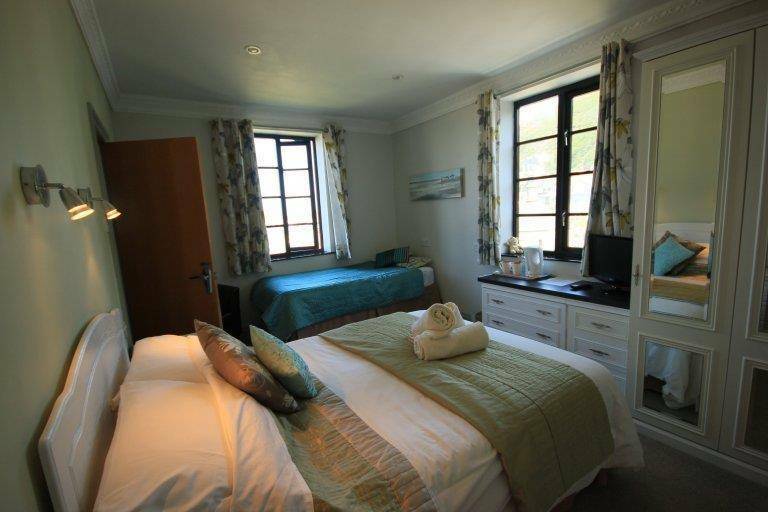 All rooms include en-suite facilities, double or twin bed, digital television, free wireless broadband access and refreshments. Ample car parking facilities are available. We also offer secure garage parking for cycles, motorcycles and other equipment. Sunray looks out onto the Cader Idris mountain range which is a popular destination for walkers, hikers and mountain bikers. Excellent summer sea fishing trips are available from Barmouth. River and lake fishing is also available within easy driving distance. 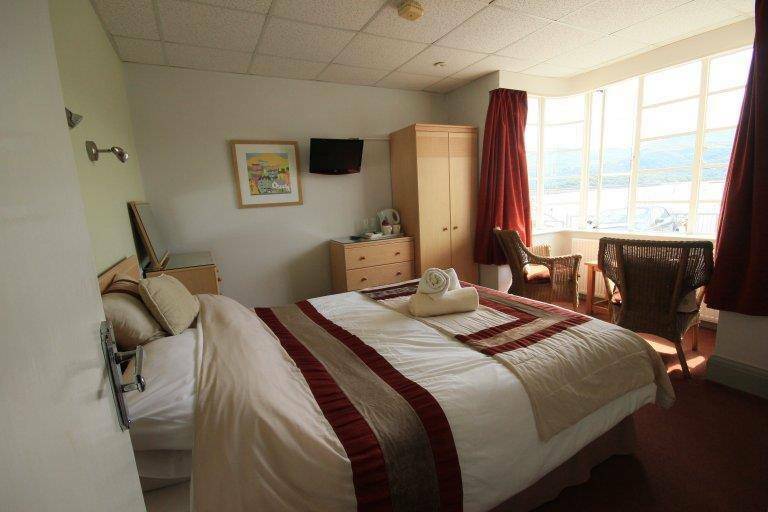 Ideally located for all North & Mid Wales attractions. 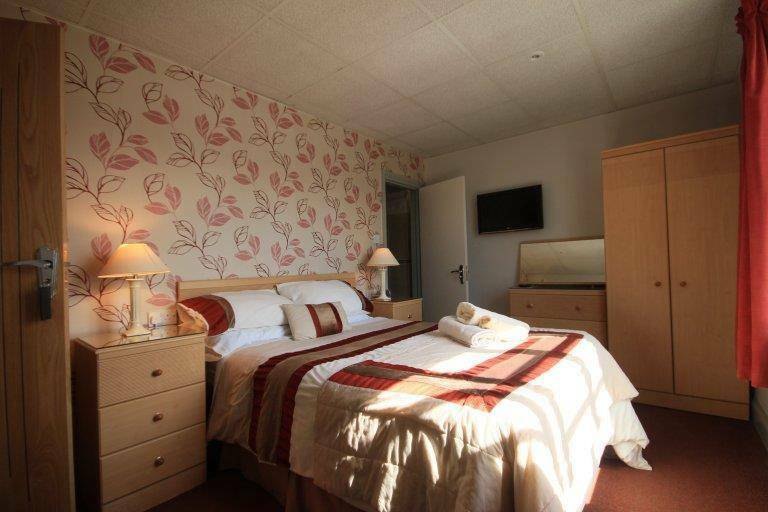 Quality accomodation in a relaxed atmosphere.